Calisthenics is essentially bodyweight training where you use your bodyweight movements and certain exercises to get a workout that you would otherwise do with equipment such as weights, dumbbells and other exercise equipment. As a beginner to calisthenics you need to focus mostly on the four basic exercises – push-ups, pull-ups, dips and basic squats. Rest of the other movements such as muscle-ups, one arm pull-ups are derived from being really good at these basic movements. Before you start any exercise program you should consult your medical professional. That way you can determine if the exercise program is right for you based on your previous conditions. Now after that you want to determine your fitness level based on your athletic ability in the past. So if you’re into sports you’re starting off at a higher level as opposed to someone who’s sitting on the couch. Now first you need to master the basics. Before you’re able to go to any more advanced moves you need to know have a good strong foundation. It’s like building a castle where you want to have a strong foundation and then build up, as opposed to having a weak foundation where you just collapse. Therefore master basic exercises like push-ups, chin-ups, dips, squats, crunches and from there you’ll be able to move to more advanced exercises. For the first six months to a year, you may develop a program around the four basic exercises till where you are able to hit a good number of reps and sets on each basic exercise. It’s also important that you incorporate a lot of cardio into your routine. It may be before your workout or after your workout. 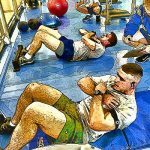 After you’ve trained on the basic exercises for a year or so, you can then follow a progressional path. It means making an exercise harder or changing it in some way, such as overloading, to provide new stimulus to your muscles. From here on, it’s important not to get stuck on same exercises for too long and always keep thinking of how you can challenge yourself even more. 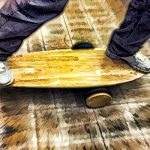 This will keep you motivated and you will be able to develop your own routines and learn cooler moves, tricks and other stuff. 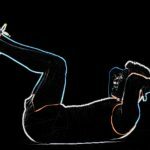 If you are beginning late with bodyweight exercises or calisthenics then you should try focusing on mind to muscle connection (MMC) techniques. 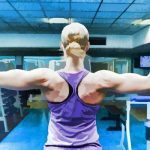 This can increase muscle hypertrophy not only in people that are quite experienced and have been doing bodyweight exercises for a while but also for people that are bigger in terms of age. As you grow older, your physiology won’t be as perfect as you would like it to be, so your natural hormones won’t be as optimal to build muscle. So what you can do is that you can tap more into your nervous system in order to achieve greater muscle contractions. 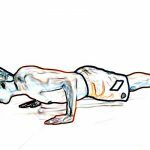 The best way to do that is start with push-ups as it’s the most basic bodyweight exercise. 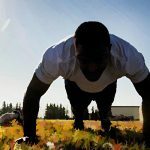 Doing pushups in a mindful way will prevent problems with your joints. You will be able to apply greater intensity to your muscles and minimize friction and shear in joints and connective tissue. Secondly you need to focus more on your joint health. Your warm-up basically has to be half of your workout. By preparing your body better and warming up more efficiently, you will not only perform better during the workouts but you’re also going to decrease injury potential. Now a lot of us know that after 20 years old as you grow older towards 30 and after that, if your body gets hurt, it will recover a lot more slowly. Therefore you want to avoid injury potential as much as possible. Warm up properly and do mobility drills. After warm-ups you may move on to easy sets. These are some basic strength exercises with lower intensity just enough to get some blood pumped into your muscles. This enables you to stay far away from fatigue as possible. Pushups or inverted rows are good examples. You may also cheat a little bit and decrease your range of motion. Another important tip is using more neutral grips. Pull-ups will be the most essential exercise that you start using more free ranges of motion. For your grips, the best way to do that is using rings. Your hands should be allowed to move freely during a pull-up. This is going to be very important as you grow older. Having goals and aspirations are a good thing but you have to be realistic. For example, you’re not going to be able to do a front lever or muscle up within your first week. You will be able to do it eventually but it takes a lot of hard work, dedication and intelligent training. Rest and recovery are vitally important to your success in health and fitness. Without rest your body will not recover from changes. You have to remember that your training is not what is going to build muscle. It’s the recovery after training and nutrition is equally as important as exercise. Before you start doing any exercises focus on your nutrition and make sure that you are eating right in order to grow right and look right. Mobility and a static flexibility are important when it comes to calisthenics and if you don’t work on those early on then it’s going to be hard to progress to some of those moves that you want to do. You can start doing some dynamic stretching and mobility work before you start working out. then after you had your workout and your muscles are warmed up from the workout, that’s when you should engage the static stretching. This will help you progress in calisthenics the way you want to and you won’t be limited by your range of motion. You never want to stop doing the basic exercises. So the basics as we all know are push-ups, pull-ups, dips and squats. Everything that calisthenics involves is just a variation of these basic exercises. Take a day out of the week just to focus on the basics or after your real workout just do some push-ups, some normal pull-ups. You can increase the reps or do some weighted basics but continue to do the basics. You want to use little reminders to keep you working out and to keep that motivation going. It can be anything like display messages or quotes on your Smartphone display or setting goals on your fitness tracker. It can be whatever you might find or draw your inspiration or motivation from. 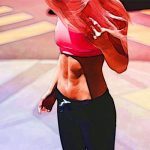 For bigger or overweight people who are wanting to start calisthenics, the first thing you should do before even starting a workout and worrying about learning how to do a front lever or muscle up, simply check on your diet. Make sure that you’re eating just enough to lose the right amount of weight. Therefore, you have to eat less calories than you burn throughout the whole day. For e.g., if you’re eating 3000 calories right now but you’re resting metabolic rate is around 2500 then you’re gaining weight. The point is that before starting out try and tune into your diet and make sure that you’re putting effort into trying to make that better. You can cut out any junk foods, sugars, processed food, just keep it all natural like whole grains, etc. In addition make sure that you’re always drinking water and try and get all your calories through food and not through sugary drinks or juice. Losing weight is so important for body weight training because the heavier you are, the harder it is to do the movements. It is going to be really difficult for an overweight person to do body weight training and calisthenics. That’s why you really don’t see a lot of overweight people doing it because it’s just so hard when you have those extra pounds on you. After getting your diet in check you should begin doing cardio exercises. You can start off with a light walk or walking, then jogging, walking alternatively. Continue jogging thirty minutes three times a week just something to where you’re used to getting your heart rate up. 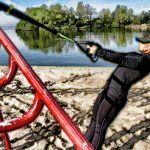 Cardio along with your diet control is going to slowly drop those pounds to where it would be a bit easier to perform bodyweight exercises. Next you actually start to implement some beginner bodyweight exercises such as basic push-ups, pull-ups, dips and squats with low reps. This can be done three times a week. Basic push-ups and squats should be easy for a lot of people but the hardest part over which we’ll have a trouble with is definitely pull-ups. With pull-ups you are going to progress a lot slower so you would need some motivation. As suggested earlier, either work out with a friend so that a friend can help assist you when you’re doing your pull-ups or if you worked out in a gym try an assisted pull-up machine. You can start all the way at the bottom for the highest assistance and then each week or every two weeks try and go a little bit lighter to the point where you’re doing a whole pull-up by yourself.